Home NEWS Kiambu Assembly nomination list challenged in court. 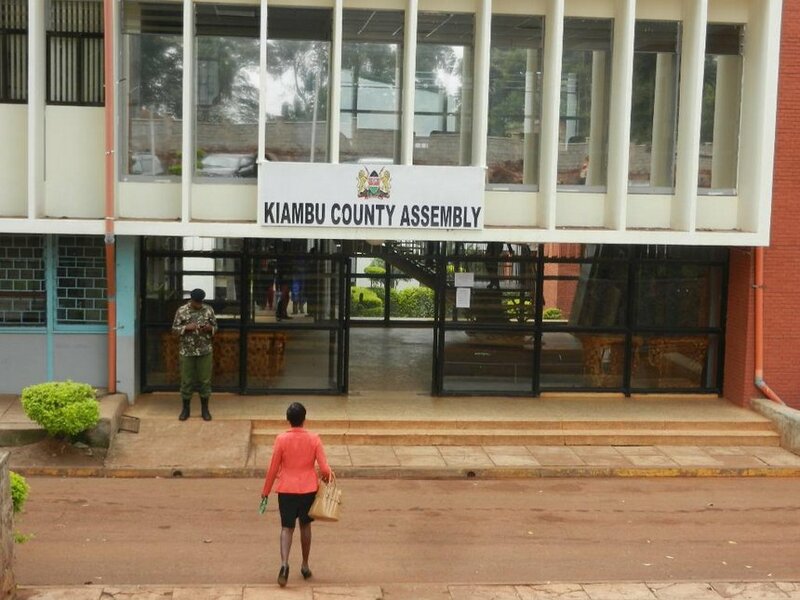 Kiambu Assembly nomination list challenged in court. A section of Jubilee Party members have filed a petition seeking its intervention to nullify the list of the gazette Nominated Members of the Kiambu County Assembly released recently by the Independent and Electoral and Boundaries Commission (IEBC). The petitioners, all women who lost in the Jubilee Party primaries held on April 25th, claim that some of the names gazetted did not meet the requisite threshold as stipulated by the law. Elizabeth Muthoni Mbugua and Rahab Wanjiku Mwaura who both vied for Kalimoni Ward seat in Juja and Ndarugo Ward in Gatundu South respectively have filed a suit in court seeking cancel some these nominations. “The applicants are aggrieved by the decision of IEBC and thus wishes that gazette notice no 8380 published of Jubilee Party's nominated MCAs for Kiambu County quashed,” read part of the plea presented to the court. In their application at Milimani High Court Nairobi, the two argue that, contrary to the decision of IEBC Dispute Resolution Committee complaint No. 17 of 2017 delivered on July 28th 2017, Jubilee Party illegally nominated Jane Wanjiru Gathiga, Lucy Njoki Mugure and Mercy Nungari Ndung'u. They are also seeking to have the names of Susan Wanjiru Mwaura and Yvonne Wanjiku Waweru deleted from the list. They claim that the said nominees do not hail from the county, notwithstanding that one of them is not a registered voter. The petitioners also argued that the gazetted list failed short of regional balancing, proportionality, equality and equity. They claim that some of the 12 sub-counties had been sidelined, with some taking up majority of the slots, thus lacked merit in the fair representation of the people of Kiambu County. According to the gazetted list, Ruiru Sub-County benefitted from six slots, Thika five, three each for Kabete and Gatundu North while Limuru and Kikuyu got two nominees each. Juja, Kiambu Town and Kiambaa and Gatundu South sub-counties each got one nominee with Lari having none. Earlier last week, another group of 85 women challenged the same list arguing that it lacked inclusion and only comprised of persons who were known to have campaigned for certain leading politicians within the county. Among those in the list are said to be people whose educational background is wanting and do not qualify as MCAs as per the law. Under the umbrella of the Women Candidates Network of Kenya (WCNK) through their lawyer, Gitobu Imanyara, they filed an urgent suit in court seeking to have Attorney-General Githu Muigai, Senate and National Assembly explain why they did preside over discriminatory laws that barred women who made it to the ballot from being in the nomination lists. Ms. Gladys Chania questioned the criteria used to come up with the list, pointing out that it was largely the “wrong way of rewarding politicians’ supporters”. “Rewarding loyalists with positions meant for public service is wrong and lacks merit. This simply means that no ordinary resident will ever get nominated for these slots due to their lack of connection to politicians, said Chania. Dr. Juliet Kimemia who vied for Kiambu Senatorial seat said that it was wrong as it compounded the problem that was in 2013 all over the country. “The lists across the country are a clear demonstration of lack of political goodwill. Nominations were never meant to favour political power brokers, persons who funded others people’s campaigns, their relatives, loyalists or even girlfriends,” added Dr. Kimemia. A judgment of IEBC Dispute Resolution Committee delivered on July 28th 2017 said Mercy Nungari Ndung'u and Jane Wanjiru Gathiga did not meet the requirements under the law and was therefore not validly nominated. The judgment signed by IEBC Chairman Wafula Chebukati and Consolata Maina and Prof Abdi Yakub Guliye ruled that persons who are registered as voters in other Counties other than Kiambu are unqualified for inclusion in the party list since it contravened the law. “The names are hereby rejected by the committee and should be expunged from the Party list. The Jubilee Party is directed to submit four new names to replace the names in compliance with the relevant laws and its nomination rules within three days from the day of this judgment,” read part of the judgment. However, IEBC exonerated itself from blame saying Jubilee Party went to court and got stay orders for list to be applied as it is subject to hearing and determination of the case. “Should the court rule otherwise, of course we will just degazette,” said an official for the commission's legal department.